From our research into cultural happiness, we know ‘security’ is a fundamental need for all humans across the globe. When the feeling of security is under threat, humans will seek to re-instate it in order to regain a sense of safety, control, and protection; things necessary to live a comfortable life. Ultimately, security is integral to our wellbeing – which is why our Happiness model features ‘Security’ as one of our 7 key drivers of human happiness. Click here to read more about our happiness model and the thinking behind it. In the UK, security is currently under threat. Brexit, terrorism, and our general lack of trust in authority figures is causing widespread anxiety. We saw consumers respond through the ‘Hygge’ movement popular last year, where Britons retreated back into the home to create cosier, more comforting living spaces as a way of feeling secure in worrying circumstances. This posed an opportunity for brands to help consumers in their quest for comforting environments. Quick-thinking brands like Ikea and Carlsberg soon responded, seizing the opportunity. Keen to understand Security on a global level and what it means for brands in different markets, we recently called upon our global network of leading edge Illume Guides to see how security affects their lives at present, and how local market brands are responding. We’ve identified two key global responses happening in regards to security at present. The Edelman Trust barometer has highlighted trust in governments and authority figures is in decline globally. This theme came through strongly across many of the countries we explored, most notably in Brazil, Spain and Indonesia. 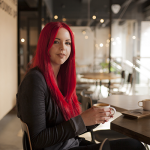 There’s a pervading feeling that the system is failing, and now there are grassroots movements across these countries where everyday people are helping create secure environments, rather than relying on the government to do it for them. In Brazil for example, the political crisis that resulted in the impeachment of the president, and numerous high profile cases of corruption, have led to a large distrust in the government. Alongside this, the economic crisis that began in 2014 has seen rising unemployment and inflation, leaving people with less money and heightened street crime. With nowhere else to turn, Brazillians are relying on themselves to reinstate security. An example of this is new ride-sharing service ‘Ubra’. Set up by tattoo artist Emerson Lima and driver Alvimar da Silva, the service offers transport for areas other taxis refuse to operate, notably in dangerous high-crime areas likely to leave people stranded and vulnerable. Here, everyday citizens are rising up to fill in the gaps where big brands are failing. Another example of this is in Spain, where wages are in decline and the job market remains competitive. But as a country valuing community and socialising, there’s been a rise in collaborative consumption. 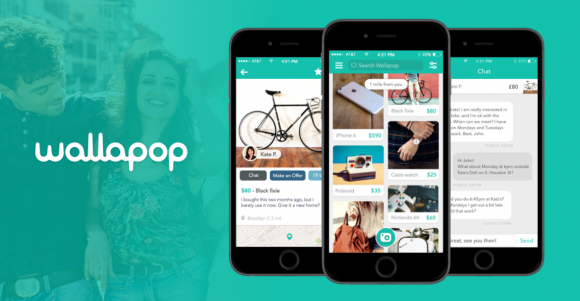 Brands like Wallapop are tapping into this movement – making it easier for cash-limited Spaniards to socialise and exchange second-hand goods all to achieve financial security. Finally in Indonesia, fake-news and false information is being widely shared under the belief its true. These controversial headlines are fuelling existing political and ethnic tensions happening in the country, causing more division and hostility. This faith-based tension is threatening Indonesia’s core values of tolerance and acceptance, creating fear and insecurity. To counter the problem, Indonesia’s Anti-Defamation Society developed Turn Back Hoax, a crowdsourced Chrome extension launched in late 2016. The plug-in allows users to report news, content and images suspected to be a hoax, as well as leave notes on documents for others to read, challenge or validate. Recognising consumers have lost faith in authorities to tackle issues, they are looking to each other to find collective solutions to address the needs threatening security. Globalism has placed national identities under crisis, particularly in countries with a strong culture such as India or China. As a response, we’re seeing consumers looking to local, familiar brands that serve to unite all in their universal popularity. In Poland for example, the country overall is experiencing a high level of growth. Over the past 25 years, the Polish economy has doubled in size and standards of living have risen faster than in countries in the South of Europe. This is causing pride, but there’s still a feeling they’re lagging behind the core of the EU in terms of economic growth and living standards. The Polish are buying products from their own country as a way of building an even more secure economy, ultimately working towards a more prosperous life. Apps like Pola are tapping into this sentiment by helping consumers to buy from Polish-only manufacturers. In India on the other hand, security is under threat due to religious conflicts. Tensions between Hindus and Muslims, and attacks against women and religious minorities are causing cultural divisions and threatening India’s collective identity. One way the country is finding security in unity is via a collective appreciation for successful Indian celebrities. In India, celebrities and public figures are not just artists – Indian people become emotionally involved with their lives and love, trusting and connecting to them on a personal level. 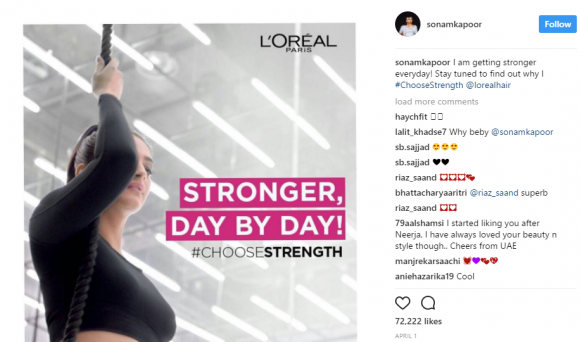 A recent brand example is Sanom Kapoor working with L’Oreal Paris, most recently fronting the brand’s #ChooseStrength campaign for a new shampoo. Her endorsement is not only a cut through that the brand will be trusted, but is also a shared source of national pride. Another thing we’re seeing is people turning to the comfort of traditional food brands that provide comfort through their brand heritage and familiarity. In China for example, White Rabbit sweets are continually bought due to their strong heritage in China, acting as comforting reminders of cultural identity and upbringing. This is similarly happening with food brands in other markets, such as Barilla pasta in Italy and Douwe Egbert’s coffee in the Netherlands, to name but a few. From our deep dive into our driver of ‘security’, we can see the feeling of security is a shared need across the globe, and comes to the fore particularly when this need is challenged. Brands need to be aware of cultural responses to current events happening in local markets, in order to understand how they’re impacting consumer needs and behaviours. Ultimately, this understanding can create opportunities for those who can create products, services or campaigns that help consumers restore security in a way that’s culturally meaningful. This could be through innovative apps like ‘Ubra’ which actually provide a solution to navigate dangerous neighbourhoods, or marketing campaigns that revisit brand heritage or provide reassuring messages of national identity to bring people together in times of division.